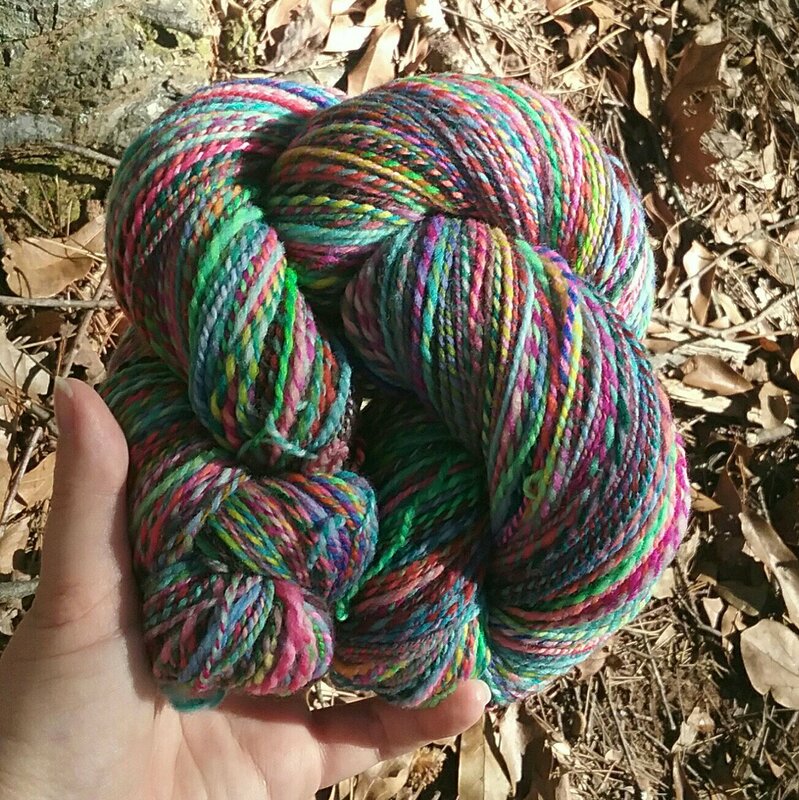 There were a few moments during this spin where I wondered if this crazy yarn would work out. What if all the colours paired up garishly? What if I hated it? I voiced my concerns to my husband and he told me to just knit socks with it. 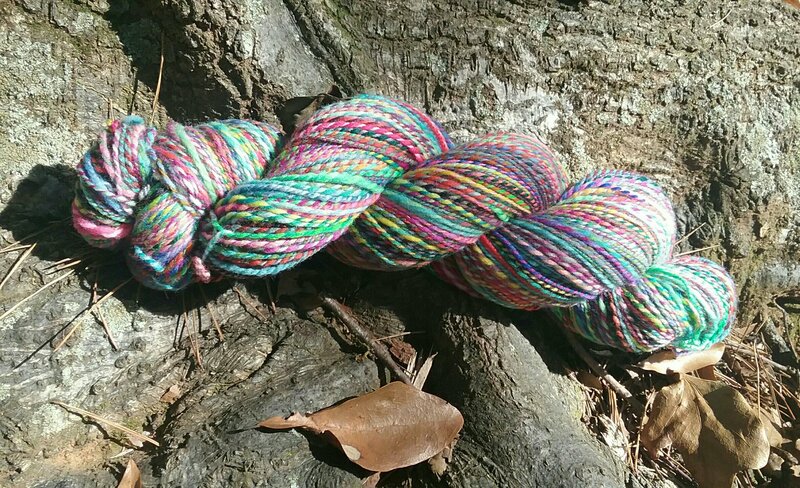 If the yarn is awful no one has to see it but me. It can be an exciting sock secret. Now the yarn is done and I love it! My husband has claimed it – he wants the crazy socks all for himself. Thank you! This is my first combo spin, so it’s a whole new world for me.